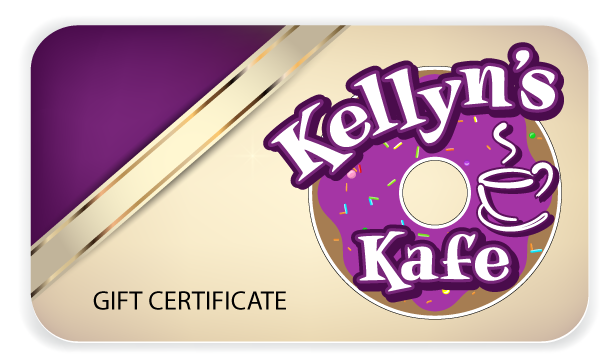 Purchasing a Kellyn’s Kafe Gift Card is super easy. Just ask any server when you pay or stop in and purchase. Sold in quantities of $5, $10, $25, $50 and $100.